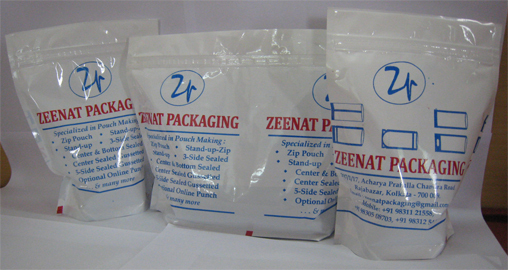 Zeenat Packaging has been in the business of flexible packaging to offer a wide range of packaging Zipper Pouches, Standup Pouches, Standup-Zip Pouches, Profile Pouches, Three side sealed Pouches, Center sealed Pouches, Gusseted Pouches, Five side sealed Pouches, Jumbo Pouches, Spout Pouch and many more. We are not a Gravure Printer. 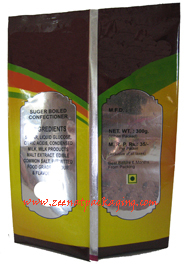 We make pouches from printed/unprinted 2 layer/3 layer laminated rolls(Ldpe/Hm with Polyster, metalised, foil) and sealable BOPP supplied by the client. Our expertise stems from the fact that we have been developing flexible packaging to suit specific end-user requirements and have always put quality before profitability. This has enabled us to fulfill packaging needs for a wide range of industries : Food, Tea, Bisciits, Detergent, Chemicals and Agricultural Product. 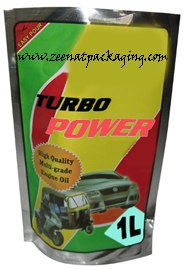 Having determined to uphold the highest standards in packaging, the technical team at Zeenat Packaging have steered the Company to become the virtual leaders in the field of quality packaging. We manufacture pre form plastic pouches of different shapes and for different requirement such as : Zipper Pouches, Standup Pouches, Standup-Zip Pouches, Three side sealed Pouches, Center sealed Pouches, Gusseted Pouches, Five sealed Pouches, Jumbo Pouches and many more. We have emerged as an organization with an immense industrial knowledge and thus have achieved a lot of recognition in this sector. Our entire range of pouch packaging is available for various purposes such as food packaging, industrial packaging, healthcare or FMCG and retail markets. 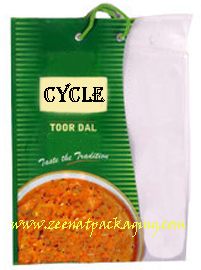 We are a trusted name involved in making pouches. 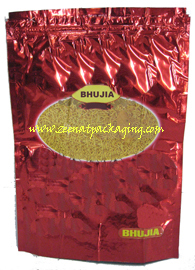 We have a comprehensive advanced pouch making systems. Quality policy of consistent product quality thereby achieving ultimate customer satisfaction. Keeping secrecy of our client’s products. Constant improvement in our delivery performance. Excellent service over the years. Sincere and committed attitude has already begun to rake in bouquets of approval from appreciative clients, driving the Company on to higher gear, compliance with global standards. Making of superior quality pouches. Quality plays an important role in our company and helped us earned a distinct repute among the manufacturers and exporters of Tea, Spices, Biscuits, Detergent, Agricultural Products, etc. We have successfully meet the requirements of our clients in best possible manner. 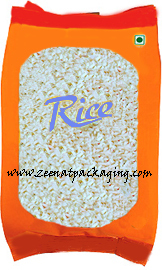 At our quality department, we have people to check the quality of the pouches. We make sure that pouches are manufactured under the supervision of strict quality management who ensure tight seal and leak proof in the production process. 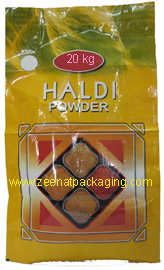 Our quality analysts maintain strict vigilance on entire range of pouches manufactured and ensure flawless product is delivered at clients end. Our inclination for quality assurance and commitment to client satisfaction has enabled us to carve a niche for ourselves in the Indian market. 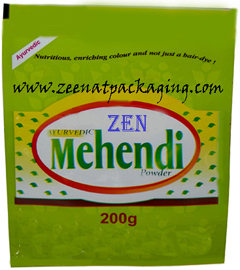 We have built a large client base, by maintaining a consistent level in the quality of our pouches. Our long list of dedicated clients is spread across West Bengal. We are persistently striving to maintain long term relationships with our clients by efficiently catering to their specific application requirements. Our clients have appreciated our quest for excellence and commitment in providing total customer satisfaction.